It's Make it time again over here and this time it's a fun simple activity that the whole family could do to decorate the Christmas Tree, cos we all know it's nearly that time - if you haven't already put it up! I saw these first over on Pinterest and just couldn't not make them, as they are just so cute. 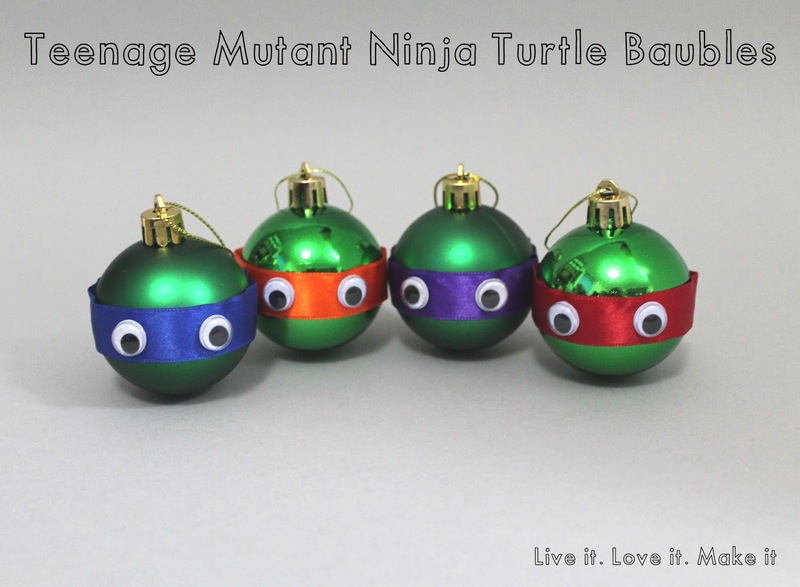 I mean who doesn't want Teenage Mutant Ninja Turtle baubles for their tree???? 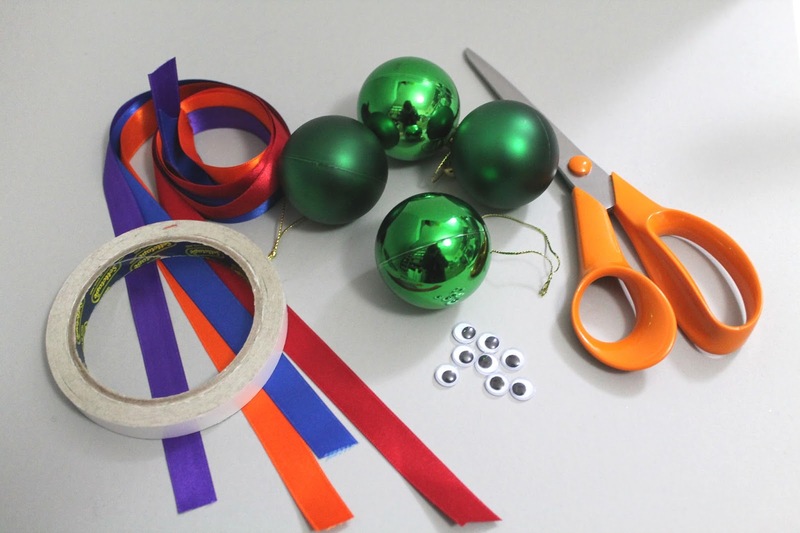 You will need: Scissors, Ribbon (Blue, Purple, Orange and Red), double sided tape, self adhesive googly eyes and Green Baubles of course! 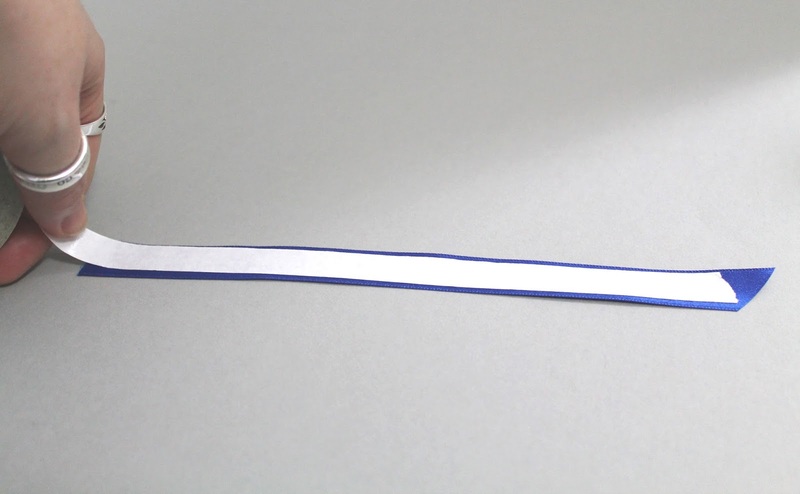 First, you will need to cut your 4 ribbons to the length that will go around your baubles, with a little overlap. Then attach double sided tape to one side. 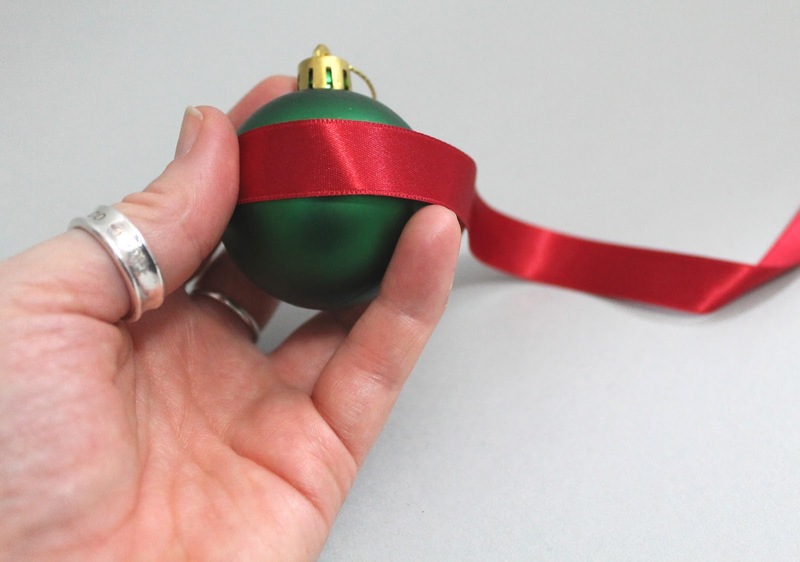 Wrap the ribbon around roughly the middle of the bauble and stick in place. 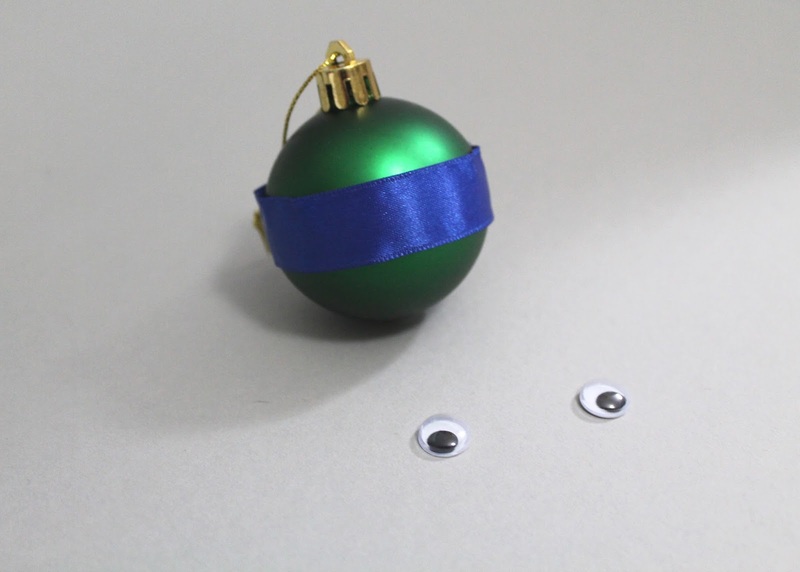 Next, get your adhesive eyes and stick onto the ribbon. It really is that simple, repeat the steps for all four of your Turtles and you have your set. 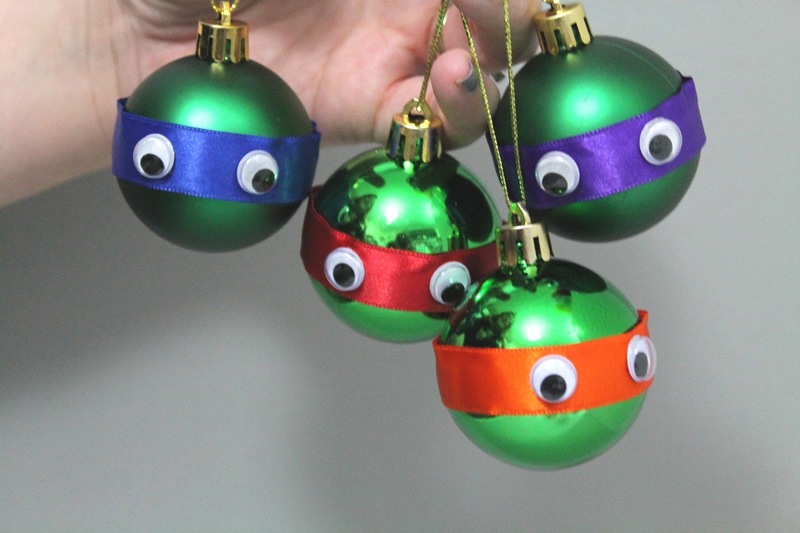 Now, if you can't remember your turtles, I will help you out. 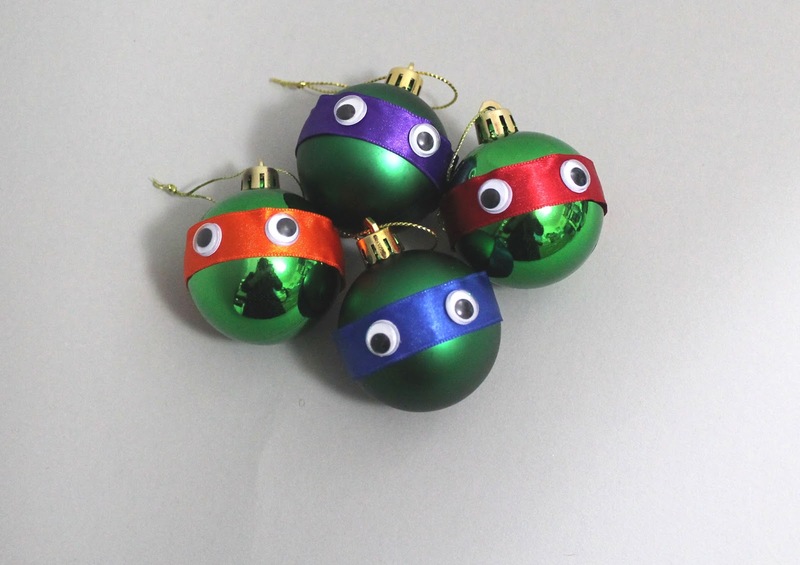 Raphael is Red, Donatello is Purple, Leonardo is Blue and Michelangelo is Orange! Which one is your favourite??? These would make a great gift for the Turtle fan in your life and with the new film out at the moment, all my childhood memories are flooding back! Gotta love the 80's! Thanks Kate, they are so ace. 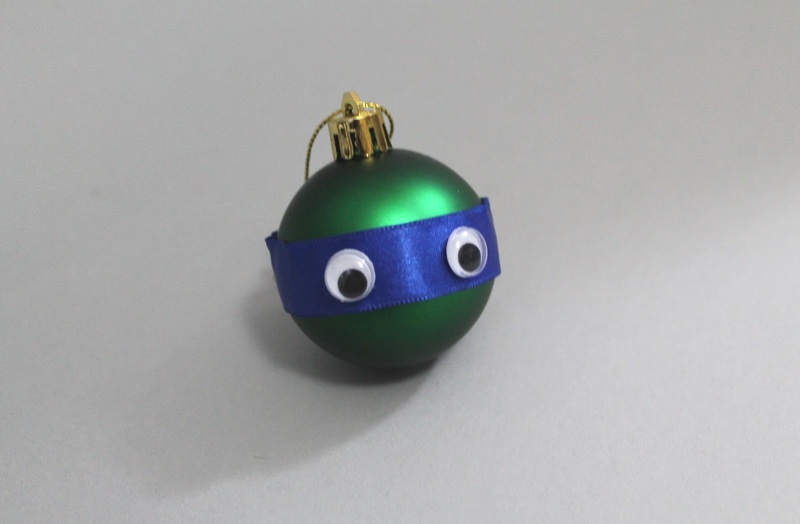 I am feeling a cartoon themed bauble display this year! Silly question possibly - but where do you buy your ribbon? Is there a good place to buy small quantities? Many thanks.